There are many elements that go into creating and sustaining a successful online presence. Whether you sell online or generate leads, design, development, search engine optimization, marketing and advertising are the elements that will make or break your business. But each of these elements is geared towards the final objective which is to gain profit for your business. This is what makes conversion testing such a critical aspect of every other task you accomplish. Conversion testing allows you to monitor your efforts to assure you reach the potential of converting site visitors into paying customers. Because the online environment changes so much and so quickly, what worked for you before, may not work as well today. 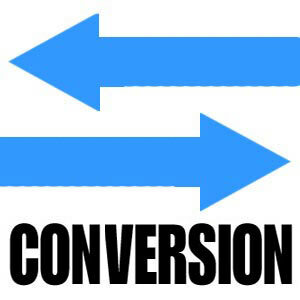 Conversion testing will allow you to see if interest levels, sales or lead generations efforts are growing or failing. There is no other way of finding out which parts of your website impact conversion rates without testing. Analytic testing will tell you how people are finding your site, what page they land on, how long they stay and if they visit other pages on your site. This testing will help with your conversion rates because the first and most important thing to address is how your search engine optimization efforts, website creation, marketing and advertising is getting people to the sales pages. Getting people to the sales pages is the first step in being able to have them continue on through the sales process. While you are working on doing what you need to do in order to encourage people to visit the sales pages on your website, the final indicator is how those visitors to your sales page respond. If they are not continuing through to sales completion, then you will have a low conversion rate, increasing that rate should be a priority. Conversion testing including A/B testing will become instrumental in helping you determine the best choice to make to increase conversion rates. This is where you have two live web pages and test the effectiveness of each of them. Another way to test conversion rates is through multivariant testing. This testing simultaneously examines multiple elements of a web page to determine how the content influences each other and impacts conversion rates. Hiring a web designer or internet marketing firm to help you set up conversion testing and consult with on how to raise your conversion rates will give you an excellent return on investment. This should be done within a short time of your initial web launch, or as soon as possible if your website has been up and running for awhile. Conversion testing should be run consistently in order to continue to adjust and improve your online business to make higher profits.